According to The Hollywood Reporter, Netflix is teaming up with writer Harrison Query and Bright producers Eric Newman and Bryan Unkeless to develop a modern-day take on The Three Musketeers that is being described as Mission: Impossible in tone. Query reportedly offered a unique take on Alexandre Dumas’ classic tale that the streaming giant approved of and the project was quickly thrust into development. 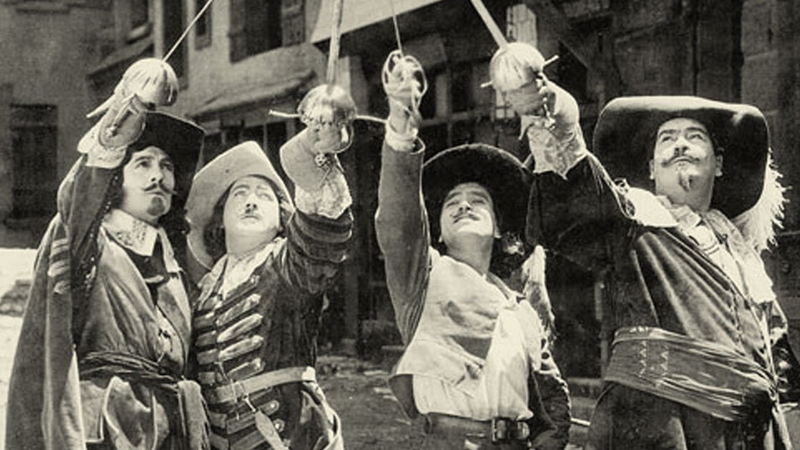 For those unaware, The Three Musketeers follows the exploits of a young man named d’Artagnan, who saddles up with renowned Musketeers, or king’s guard, Athos, Porthos and Aramis as they embark on a rip roaring adventure. Per the report, this is the second project Netflix has picked up from Query following the million-dollar deal they made to the writer for Warparty, which is being produced by Ridley Scott, directed by Andrew Dominik and features Tom Hardy. This is the latest attempt by a studio to cash in on The Three Musketeers. All told, there are twenty-four film adaptations of the classic adventure dating back to 1903, including a 1993 Disney production starring Charlie Sheen, Keifer Sutherland, Chris O’Donnell and Tim Curry. Recently, in 2011, Paul W.S. Anderson tried his hand at the tale with actors Logan Lerman, Ray Stevenson, Luke Evans, Christoph Waltz, Orlando Bloom and Milla Jovovich. Anderson’s film brought in $132 million at the worldwide box office.